LUANDA – Angola, the world’s fourth-largest diamond producer by value, will approve a new concession to De Beers to explore for diamonds, Geology and Mines Minister Francisco Queiroz said. London-based De Beers, majority-owned by global miner Anglo American (AAL.L), previously explored in Angola between 2005 and 2012 but relinquished its concession. “The company made that big investment in prospecting, and unfortunately it didn’t have great results, but it is making a new bid, and another investment will be approved,” Queiroz told the Reuters Africa Summit on Thursday. “De Beers has been negotiating with (state-owned diamond firm) Endiama, and it is welcome in Angola as it has been in the country for a long time, even before independence from Portugal in 1975,” Queiroz said. The government of Angola, the world’s sixth-largest diamond producer by volume, is keen to boost a sector in which few companies are currently drilling. Russia’s Alrosa (ALRS.MM), De Beers’ main competitor, already operates the Catoca mine in Angola, the world’s fourth-largest, in a joint venture with Endiama. 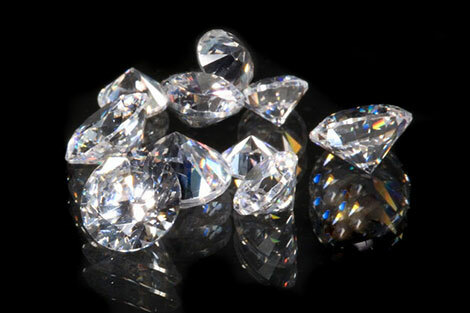 Queiroz said a new deal between Endiama and Alrosa, announced in February, to explore in eastern Angola could produce huge results, with the Russian firm to spend $15.5 million on rights and over $150 million if deposits are found. Even before those projects begin, Angola already plans to boost production to 9.5 million carats in 2014 from last year’s 8.5 million, because of three mines that opened recently. Angola is Africa’s second biggest oil producer and has grown rapidly after a 27-year civil war ended in 2002, but the government wants to reduce reliance on crude oil output, which brings in over 95 percent of export revenues. It plans to tap other mineral resources, which analysts say are extensive, but has been held back by a lack of data. The government has set up a $405 million survey to find deposits of iron, copper, gold, manganese and other minerals. “The preparation work is done, and now one of the three companies hired to do the survey will start mapping this month, with the other two no later than June,” Queiroz said. The results, due in three to five years, will allow investors to make informed decisions, while a more competitive mining code approved in 2012 will help. Queiroz said that in the meantime, Angola is pushing ahead with projects to explore for iron ore, copper and phosphate. But the $900 million Cassinga iron project, a joint venture between state firm Ferrangol and private operators including trading house TrafiguraTRAFG.UL, has hit financial problems and may have to proceed more gradually, the minister said. “The total investment for the project will perhaps be even higher than that figure, and the investor has had financial trouble in this launch phase,” the minister said.